Looking for a World-Class Franchise® Opportunity? The opportunities shown below are the “Best of the Best” in franchising. They have allowed our research team unrestricted, confidential access to every franchisee. 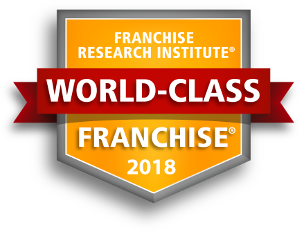 Based upon their survey results, each company listed has earned the coveted designation of World-Class Franchise®. Click on a company logo below to view profile information, and to obtain a FREE detailed Research Report and/or a one-page Highlight Report. © Copyright 2018 Franchise Research Institute. All Rights Reserved.